With your host(s) Colin Campbell/Brendan Shanahan. “Hello and welcome Aaron Rome. 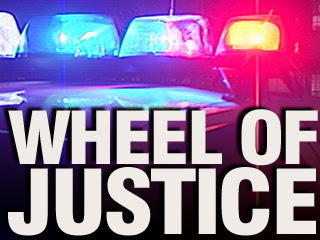 Please step up and give the wheel a spin.” Rome does step to the wheel and looks it over. Rome spins the wheel with just a flick of the wrist. The the click-clack of the pegs speeds up and then slows to a stop. Rome, looks to the sky, sighs and slunks his way off the stage to the Press Box back in Boston. The new vogue complaint has been to bash the NHL’s disciplinary policies. From an armchair, they appear to be rife with inconsistency and unnerving favoritism towards first time offenders. To the critic, they are never harsh enough. They never match the crime, and they rarely align with the “obvious” perceived intent of the infraction. When Colin Campbell was dismissed of his duties as the league’s discipline czar. Many cheered. Others remained skeptical that Brendan Shanahan would bring anything better to the post. The truth is that the post is a mission impossible. No one will be able to please the fans, media or teammates of the victim. No one will be able to appease the masses and the perpetrators both. In a game that moves as fast as the NHL. A game that is home to the finest athletes on the planet, possessors of unrivaled speed, strength and stamina. The NHL will never be able to accurately judge intent, the true ability to avoid contact, etc… without margin for error. Yet, despite all the critics, nay sayers and skeptics, the NHL does a fairly good job of policing itself. Wheel of Justice be damned. The NHL got it right concerning Aaron Rome. Before anyone argues. Take a look at the list of reasons he was NOT suspended. Rome’s hit on Horton was not dirty. It was not to the head, nor was it judged to be intended to injure. It would have been a clean hit provided Horton was playing the puck or had possession. The suspension was for a late hit. Horton had possession, passed the puck, took a few more strides and then suffered the impact of Rome’s blow. Had Rome hit Horton a stride or two earlier, it’s clean… and a wallop that would have impressed even Scott Stevens… even if Horton had been injured as a result. The hit was delivered late. The late hit resulted in a serious injury, which directly affected the severity of the suspension. He knows his intent. He likely feels he was not deserving of the punishment either. Regardless, the suspension was for the timing of the hit and the resulting injury. His intent had nothing to do with the decision to suspend. The NHL deserves credit for making the call and a little leeway as well. It is a pity that he won't be in the finals but it makes things a little bit more interesting for Vancouvers. There are lot of people at Host PPH community with it.